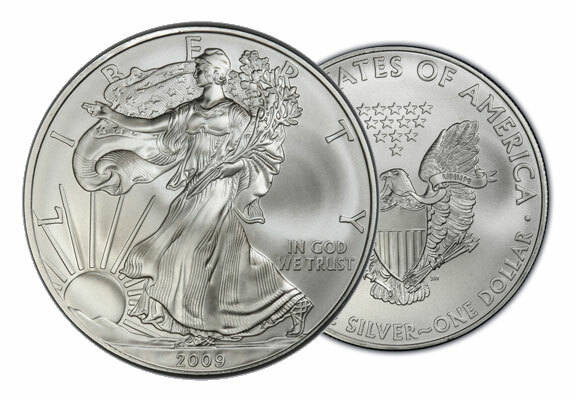 The U.S. Mint said on Wednesday that its 2014 American Silver Eagle coins have temporarily sold out amid “tremendous demand in the last several weeks.” As we wrote in yesterday’s blog, the Mint reported record high bullion coin sales during the month of October. This news was not announced to the public, but a spokesperson confirmed that a statement was sent to the Mint’s authorized distributors. The statement also said the Mint plans to continue producing 2014-dated coins, but that it would let distributors know when more become available. With gold and silver at lower prices recently, demand for U.S. Mint bullion coins has skyrocketed. American Silver Eagle coins in particular have had a huge leap in sales, with October sales reaching a staggering 5.79 million coins, a 39.9% improvement over the previous month. If the lower prices have you feeling a sudden interest in silver, American Bullion can help you add physical silver coins or bars to your existing IRA, old 401(k), or other qualified retirement plan through a Gold IRA. A Gold IRA, or precious metals IRA, is a specialized retirement account capable of holding physical gold, silver, platinum, or palladium coins and bars in addition to traditional IRA investments such as stocks and bonds. Silver provides many of the same benefits as gold but has a much lower buy-in price. For more information, call 1-800-326-9598 to speak with a precious metals specialist.